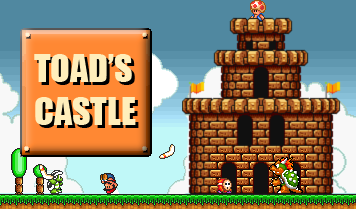 Toad's Castle Portable Super Mario RPG: A Cause Worth Fighting For? Portable Super Mario RPG: A Cause Worth Fighting For? Two years and three days ago in a fit of anger, and perhaps insanity at the idea that it could actually change anything, I sent a passionate email to Nintendo demanding they release Super Mario RPG for Game Boy Advance. I impatiently awaited a reply that would surely bring the announcement of SMRPG for GBA and make me a hero to the masses. Unfortunately a day later only a small, standard reply greeted my inbox and dashed my hopes. It seemed more likely than ever that the portable SMRPG we had been promised for years would never come to pass. Now, looking back at that day, I wonder if I had been fighting on the right side after all. While I certainly can’t argue that a portable version of SMRPG wouldn’t be wonderful, at the end of the day I already own the game. Wouldn’t the effort be better spent on new projects? The fact that I play my DS almost exclusively inside my own house doesn’t speak highly of the need for a portable version. When I look at my dusty collection of Super Mario Advance games, with their skewed graphics, horrendous sound bites, and pointless alterations making them almost entirely passed up for the originals I can’t say I would purchase a remake of SMRPG. Of course, as the saying goes, the Mushroom Kingdom doesn’t revolve around me. Or something like that. I know a number of fans who were absolutely ecstatic about being able to buy the same games they have owned for 15 years again at full price. For those who don’t own an NES or SNES (whatever their excuse may be), the GBA remakes may be great. I’m sure plenty of young gamers were introduced to Mario’s side scrolling platformer classics for the first time on the Game Boy Advance. Since I love to focus on the classic games, doesn’t it benefit me in some way if there is renewed interest in them? So, in conclusion, I have come to no conclusion. So much for a well thought out article. For now I suppose I will tentatively support the movement to bring SMRPG to a portable as long as it comes out along side, not in lieu of, new games.